Paul Baker is a lecturer in the Department of Linguistics and English Language at Lancaster University. His previous books include Public Discourses of Gay Men, Hello Sailor and Using Corpora for Discourse Analysis. He has also published on the subject of Polari, a lost language variety used by gay men. Sexed Texts explores the complex role that language plays in the construction of sexuality and gender, two concepts that are often discussed separately, although in practice are closely intertwined. The book draws on a range of theoretical perspectives and published research including performativity theory, feminism, queer studies, psychoanalytical theory, Marxism, social constructionism and essentialism. Illustrative examples are taken from written, spoken, internet, non-verbal, visual, media-scripted and naturally occurring texts. Some of the questions addressed in the book include: how do people construct their own and other’s gendered or sexual identities through the use of language? What is the relationship between language and desire? In what ways do language practices help to reflect and shape different gendered/sexed discourses as ‘normal’, problematic or contested? Taking a broadly deconstructionist perspective, the book progresses from examining what are seen as preferable or acceptable ways to express gender and sexuality, moving towards more ‘tolerated’ identities, practices and desires, and finally arriving at marginalized and tabooed forms. 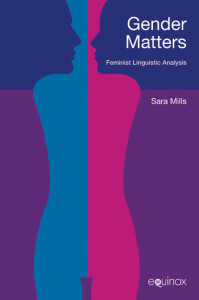 The book locates sexuality and gender as socially constructed, and therefore examines language use in terms of socio-historical factors, linking changing conceptualisations of identity, discourse and desire to theories surrounding regulation, globalisation, new technologies, marketisation and consumerism. 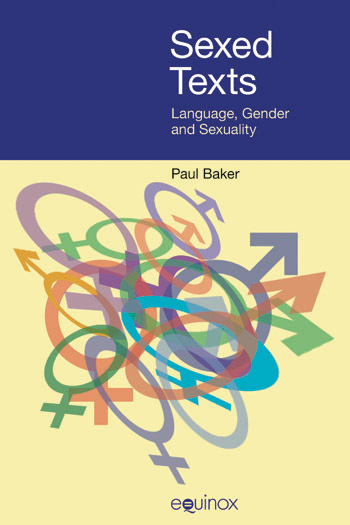 Sexed Texts explores the complex role that language plays in the construction of sexuality and gender, two concepts that are often discussed separately, although in practice are closely intertwined. The book draws on a range of theoretical perspectives and published research including performativity theory, feminism, queer studies, psychoanalytical theory, Marxism, social constructionism and essentialism. Illustrative examples are taken from written, spoken, internet, non-verbal, visual, media-scripted and naturally occurring texts. Some of the questions addressed in the book include: how do people construct their own and other’s gendered or sexual identities through the use of language? What is the relationship between language and desire? In what ways do language practices help to reflect and shape different gendered/sexed discourses as ‘normal’, problematic or contested? Taking a broadly deconstructionist perspective, the book progresses from examining what are seen as preferable or acceptable ways to express gender and sexuality, moving towards more ‘tolerated’ identities, practices and desires, and finally arriving at marginalized and tabooed forms. 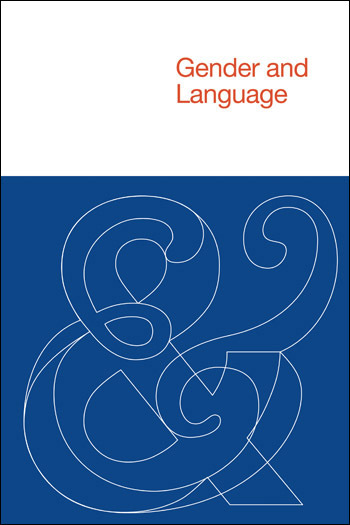 The book locates sexuality and gender as socially constructed, and therefore examines language use in terms of socio-historical factors, linking changing conceptualisations of identity, discourse and desire to theories surrounding regulation, globalisation, new technologies, marketisation and consumerism. Sexed Texts offers an excellent introduction to the field for those interested in understanding the construction of gender and sexualities through language and the complicated ways in which dominant discourses emerge in our textual worlds. For although I may not think this is the perfect teaching text (which I expect to be published at the exact moment hell freezes over), its strength is that it does show what can be done with textual analysis, and provides models for doing it systematically. For certain kinds of courses that is exactly what teachers want; if you teach that kind of course then you should certainly order a copy.